I’m A Celebrity… Get Me Out Of Here! is in its finale week and there can only be one winner — but Gogglebox‘s Yvie Jones is already an absolute winner in our eyes. 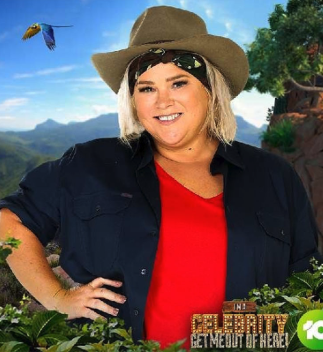 In the most recent episode, the celebs participated in a weigh-in to see how much weight they’ve lost since jungle life which has included numerous physical challenges and limited food. Each celeb was asked to guess how many kilos they think they dropped, but when it came to Yvie’s turn she decided to take a stand instead. As she began to tear up, she said she couldn’t remember the last time she weighed herself. Yvie went on to say she felt like she and her campmates had been doing so well in the jungle. “And now we celebrate how much weight that we’ve lost and somehow that is something to be proud of. And I don’t think it is something to be proud of,” she said, before asking that her number is taken away so she doesn’t know how much weight she’s lost. #celebyvie watching Yvie tonight stand up and shine a light on the dangerous mindset of weight loss equaling success & the prevalence of eating disorders in today’s society. I’ve never felt more understood. I respect you and your story so much. Thank you Yvie. Thank you.